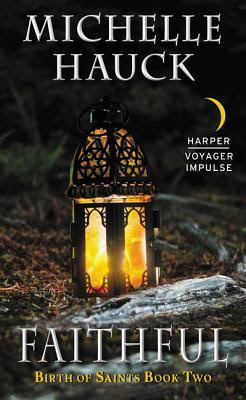 I am reviewing the first book in the series, GRUDGING, for you today. There is also a giveaway for the first two books in the series (which I highly recommend you entering!). But before you read my review, let's learn more about the series finale, STEADFAST! 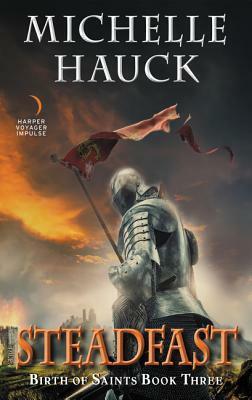 The final novel in Michelle Hauck's Birth of Saints trilogy, Steadfast follows Grudging and Faithful in telling the fateful story of Claire and Ramiro and their battle against a god that hungers for blood. Disclaimer: I received a free copy of this book as part of this blog tour to review. This in no way impacts my opinions. This was a really strong start to a new fantasy series that I am sure I am going to love. Great characters, a really interesting mix of religion and magic, plus good action sequences all make for this to easily be one of the top fantasy books I've read in a long time. I liked all the characters in this one and thought they were really well fleshed out. From the summary it seems as though we are only going to get to know Ramiro and Claire, but we learn about other characters as well and get to see everything that happens from all perspectives. This really added depth to the book that otherwise wouldn't have been there. I think I would have liked the world building to have been done differently. There was a lot of good in there - with good information - but it felt as though it took a long time to get to the point where I felt comfortable reading about the history and intricacies of the world without getting bored. 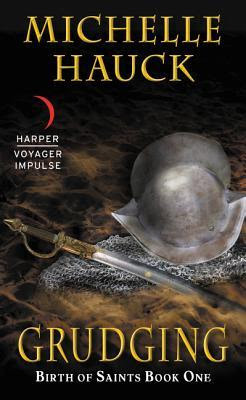 Most epic fantasy novels of this nature start out slow, but this one felt tedious at times, especially around 35% when the two main characters met for the first time. However, this didn't really detract from my reading experience because it was so well done and so interesting. I am really intrigued by the magic system. I think there is a lot of ground to cover still in the next couple books to see exactly how far reaching this magic is. I liked Claire's hesitations and reservations using it, but I would still like to see more of it. From the description of the next book, it appears we get to do so! In the same vein, I want more of the religious aspects, especially with the Northerners religion and "false God" Dal. I think their ways are really well done, but we have just scratched the surface. I have so many questions that I want answered immediately! This book gave us a lot of good details, but also left you wanting more and to pick up the next one right away. I guess I don't really have real complaints about this book, I just want to continue reading the series. This was such an intense and interesting start to the series and I can't wait to see how this story unfolds! I have high hopes for Ramiro and Claire and I am really excited to continue reading.